Theova UHS Enterprise Solutions Ltd is a continuation of Theova Computer Consultants Ltd one of the first IT companies in Cyprus and neighboring countries. Since 1983 Theova provides innovative software solutions both for the General business as well as for the Hospitality sector. Theova UHS today offers two main line of products and services. Firstly the well known HotelWare suite addressing the Hospitality industry and secondly the OfficeWare suite addressing the business sector. Theova UHS delivers end-to-end, industry-standard software solutions to the business community for more than 30 years. The business line of software systems officeware equips business organizations with automated, customizable, and integrated financial software applications. 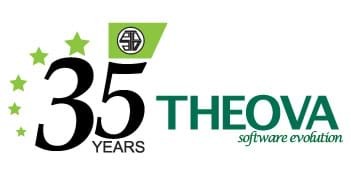 The year 2018 marks the 35th anniversary of Theova software products and services. Back in May 1983, a few ambitious young people established Theova Computer Consultants Ltd with the objective to develop and support software products for the business community, always using the latest technology.